We all know the story of how the 1960-61 hockey team captured STU’s first Maritime Championship, and Ed Hospodar is one of that story’s main characters. 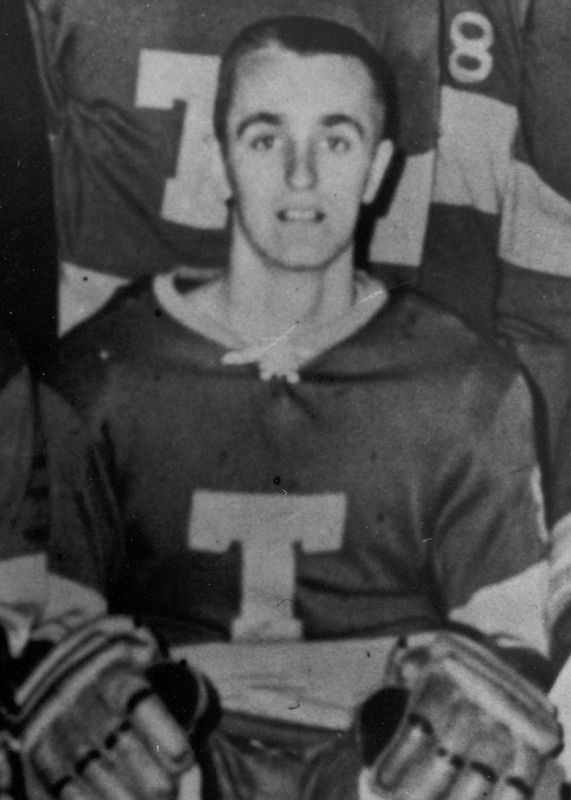 The right winger played six seasons in Chatham between 1958 and 1964, first as a St. Thomas High School student – when he was named Athlete of the Year – and then as a university student. Possessing a blistering shot and great poise, he racked up 186 points in 85 regular season games as well as 36 points in 19 career playoff games. In 1961-62, he led the league in scoring and the following year was named a first team all-star. In 1964, Ed was named both MVP of the hockey team and STU’s male athlete of the year.